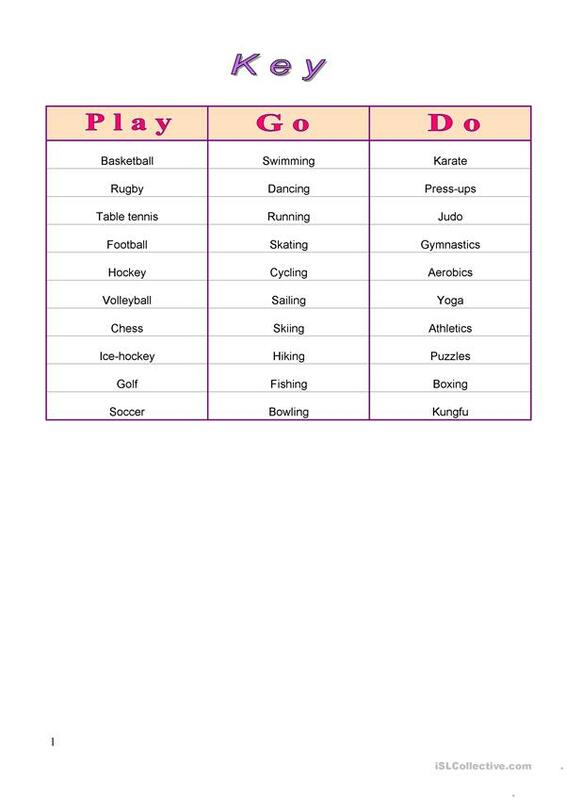 Worksheet on sports and other activities. 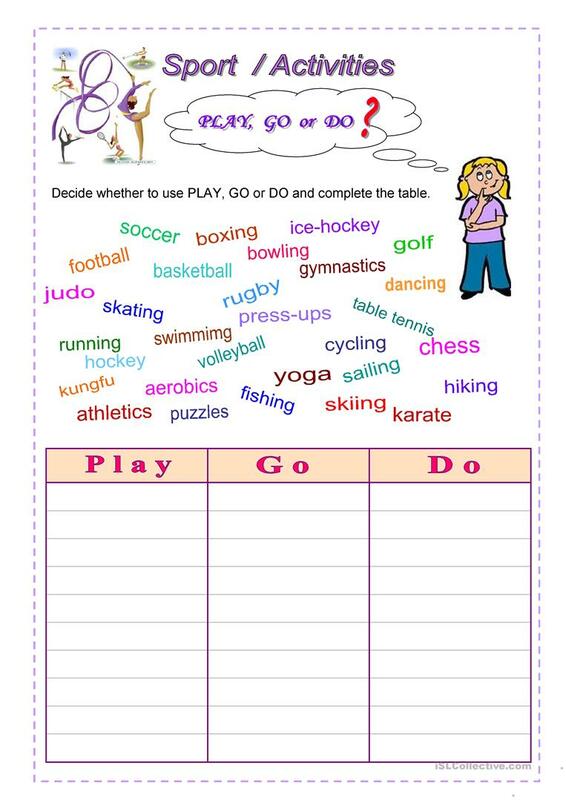 Use of the verbs DO,PLAY and GO. This downloadable worksheet was created for elementary school students at Pre-intermediate (A2) level. It is a valuable material for enhancing your groups' Writing skills. It is focused on the vocabulary topic of Sports. It includes the answers, too.  Lidia is from/lives in Germany and has been a member of iSLCollective since 2010-04-18 22:04:35. Lidia last logged in on 2017-10-28 00:11:36, and has shared 8 resources on iSLCollective so far.